The best drill press is a multipurpose tool that will help you in almost all the possible chores you want to accomplish. But sometimes you might feel the need of some special accessories to be able to do those specific tasks that are not possible with the basic model of a drill press. A Drill Press Table gives you a special surface to hold the work-piece so that you can manoeuvre the bit comfortably. If it has a scale it will let you have a better fence position. You will also be able to mount other accessories easily. It must have a good clamping area and a smooth surface to work on. 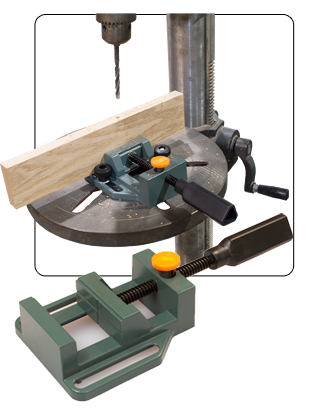 If you want to do mortising tasks for your woodwork assignments then you would need this accessory. With the help of this additional help, you can perform chiseling to get the required holes. You definitely need some help to hold your bits while drilling and that will not be a person for sure. 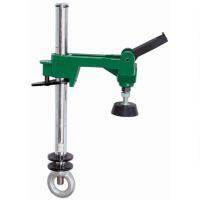 What you need is a nice drill press hold down that helps you to finish your work to perfection with a smooth operation. It must be easy to fix and release. If you have to repeat the same drilling task for multiple pieces and you can compromise a bit on the precision you will love the help of a drill press fence. It gives you the right and comfortable adjustability with acceptable precision. Get a fence that can be easily assembled to be customised to your needs. If the precision of drilling is what you need for your current assignment, then do get a drill press light. It will help you in having a closer look at the work under execution. A properly illuminated drill press will never let you go wrong. 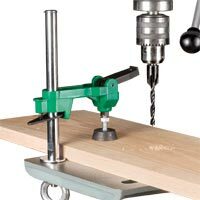 To drill multiple holes at the same angle, you need an angle adjustment tool along with your drill press. The angle can be anything between 0 and 90 degrees. Get different sized cutters to apply on different surfaces that you have to work on. There are different cutters for wood, metal and other materials. You must own these basic accessories while working with a drill press. For safety and maintenance of your precious tools, you must get a robust and handy toolkit that protects them from rusting or breaking.